Oh, I used to go offline sometimes after feeding a wild dino the kibble and they would be there patiently waiting for me the next day... is this something new or was I just incredibly lucky all these years? You were lucky, yes this is a known bug with the auto-decay mechanic. 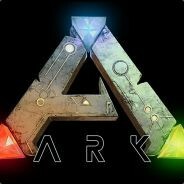 If you are on a private server I'd recommend reaching out to the admin and asking him to replace your dino. On official servers WC will replace dinos lost in this manner so I'd imagine your admin will do you the same courtesy. Really started being prevalent after the auto decay changes. I would just ask admin to turn of decay of dinos tbh.. Thanks all. The admin agreed to turn off dino decay for now. I've had this happen before. Tamed a carbony/turtle and 2 minutes out of render it auto-decayed. Official Legacy PVE. Yes this is fairly new. Like in the last year or so. I used to offline tame golems with sulfur (just log in to topor them every 4 hours) and bring them to my base the following day when I logged in. There is a certain amount of time that you need to render them before they auto decay. By the look of that tribe log it looks like about 10-20 minutes.